At the time, there were no rehabilitation work along the commuter line and one could clearly see the state of the tracks that could easily lead to derailment. 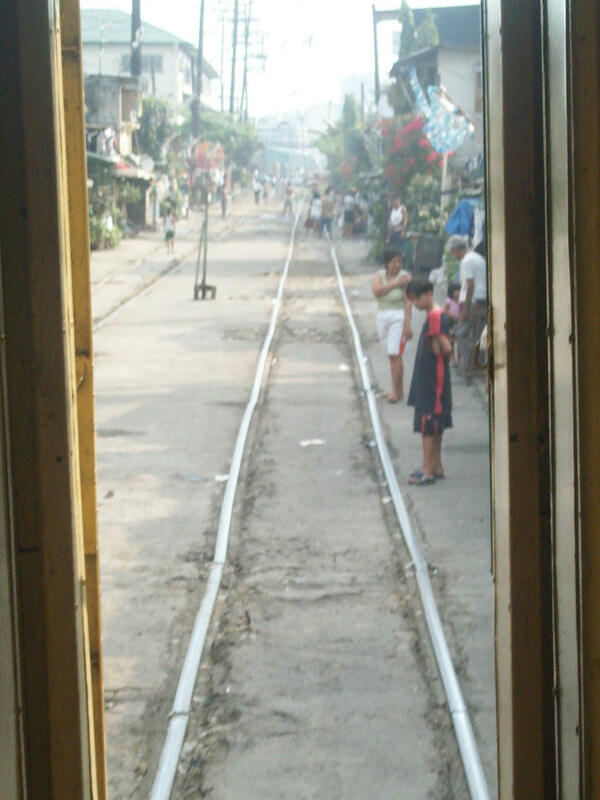 Communities were dangerously close to the tracks as many informal settlers have encroached upon the PNR ROW. There is even a makeshift basketball court in the middle of the tracks. 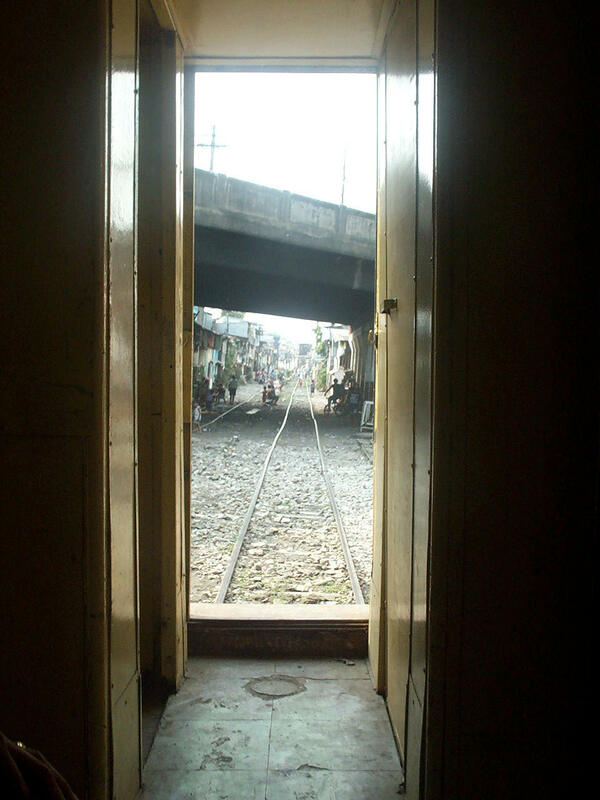 Thus, trains moved quite slowly partly because of the tracks and partly because of the people, mostly children who routinely cross the path of the train. People have set up benches between the tracks and tambays are often found drinking or gambling, of the dangers posed by the trains. Absent at the time were the trolleys that serve as informal transportation for communities along the line. These trolleys were generally human-powered, pushed by their operators and taking advantage of the the tracks and the unseen slopes to generate momentum and speed. These trolleys were light enough that they could easily be removed in case a train happened to be passing. I have photos of trolleys from my trip to Bicol that I will be including in future posts. It is said that the state of a country is clearly reflected in the conditions or situation of its transportation system. I guess the photo above gives us a pretty good picture of where the Philippines is right now if only we can deduce the essential elements from the photo. We have children wandering about and not getting the education they need to become productive members of society. This, despite primary and secondary eduction being free and compulsory. We have a problem concerning waste disposal that definitely has environmental consequences, not to mention a contribution to the perennial problems of flooding. We also have a housing problem where affordable, well-located housing is generally unavailable thereby attracting people to informal settlements. In the latter case, some settlements seem to be encouraged by local politicians if not local governments as they provide cheap votes come election time. And of course, there’s our transport system that needs a lot of attention if only to fix the results of failures in transport planning. 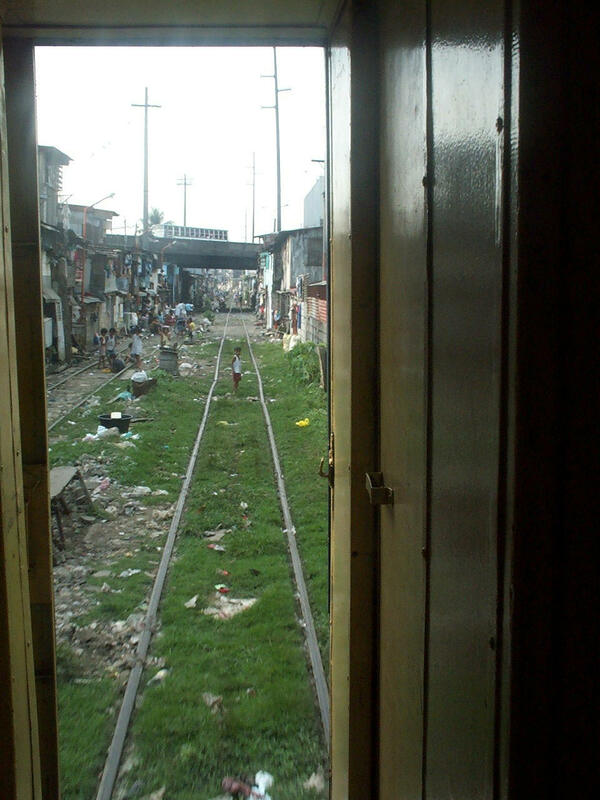 By d0ctrine in Academe, Infrastructure, Railways on October 17, 2011 .